DIY Nursery Height Chart and a Giveaway!!! Hi, friends! There's some excitement going on around here today! I've gathered four of my friends who are currently expecting or recent new mommas to do a little DIY nursery art blog hop! We've each come up with some great art for our nurseries that we hope will inspire you! If you missed yesterday's post, I shared a mood board for Baby Brzu's nursery! 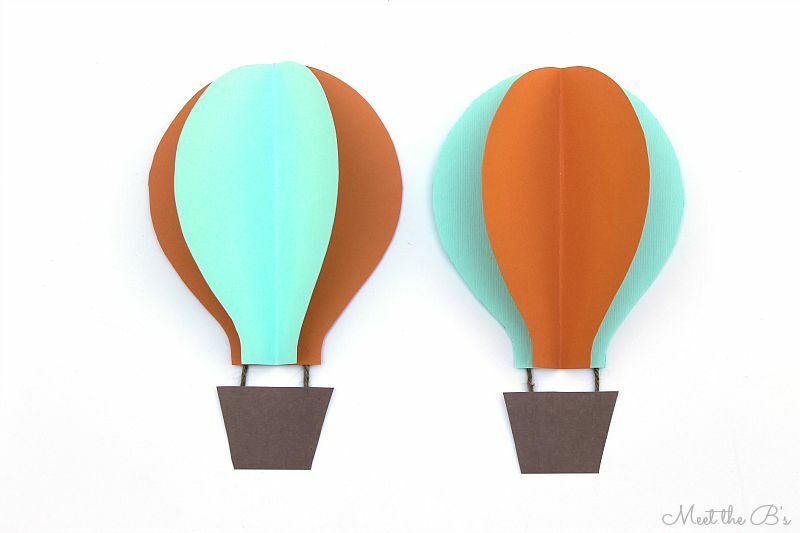 We are planning a hot air balloon themed nursery with navy blue, orange, and aqua. 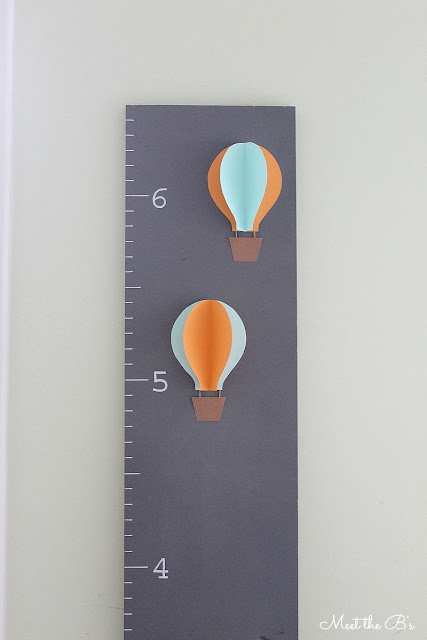 Today, I'm sharing my first project for the nursery! 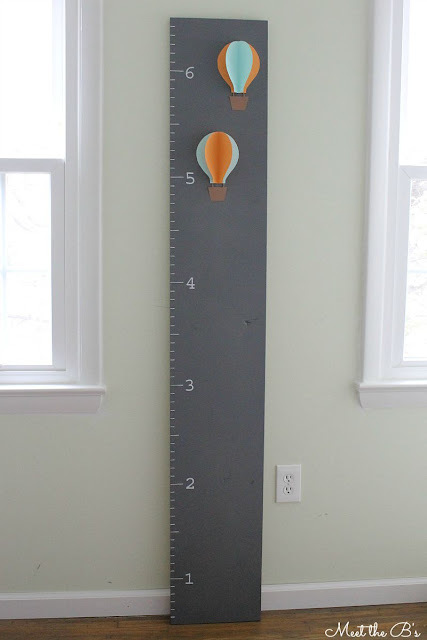 I made a height board for keeping track of the little man's height. When I was little, we charted our heights on a wood beam in the house. Unfortunately, when we moved, we couldn't take it with us. So I decided to create a board we could easily detach and move from place to place so that we can always keep track of his growth! First, my husband and I spray painted the pine board so that it would have ample time to dry while I was working on the other parts of the project. You will need at least two coats of paint. The board will probably have some knots and imperfections that you can fill in with wood putty and sand before painting, but I kind of liked the imperfectness of my board and left it alone! Then, I got to work on my hot air balloons! 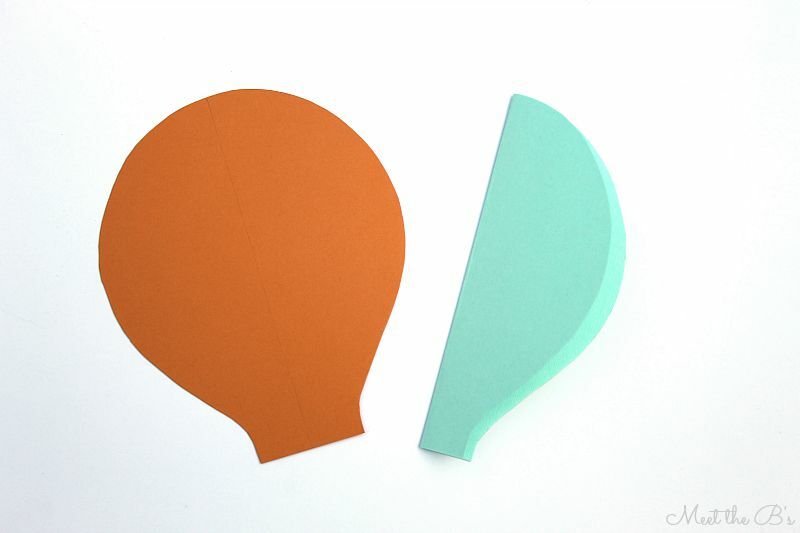 I cut out two balloon shapes in each nursery color. 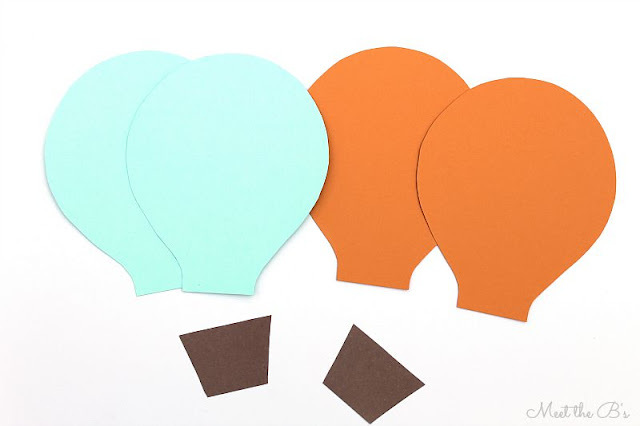 Cut your first balloon and then trace it so that they are all the exact same shape and size. Then, cut out two basket shapes from the brown paper. 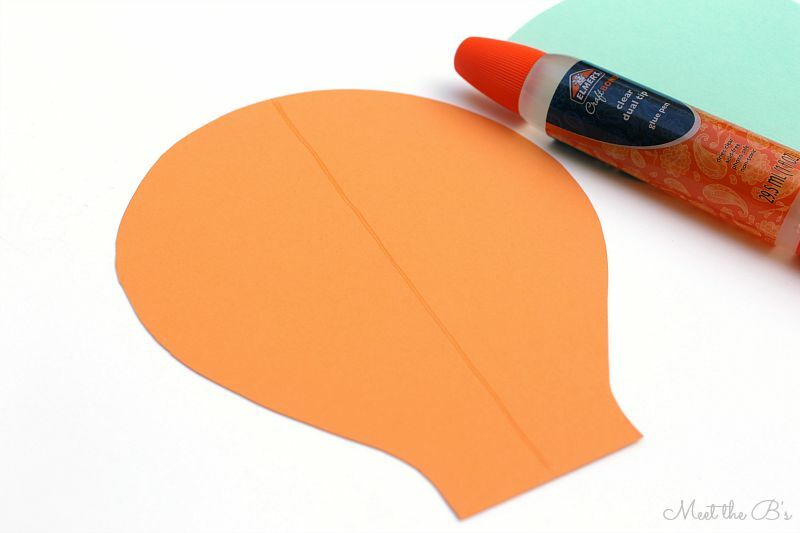 Fold one of the balloons in half and draw a line down the center of the other color balloon to mark where you will put glue. 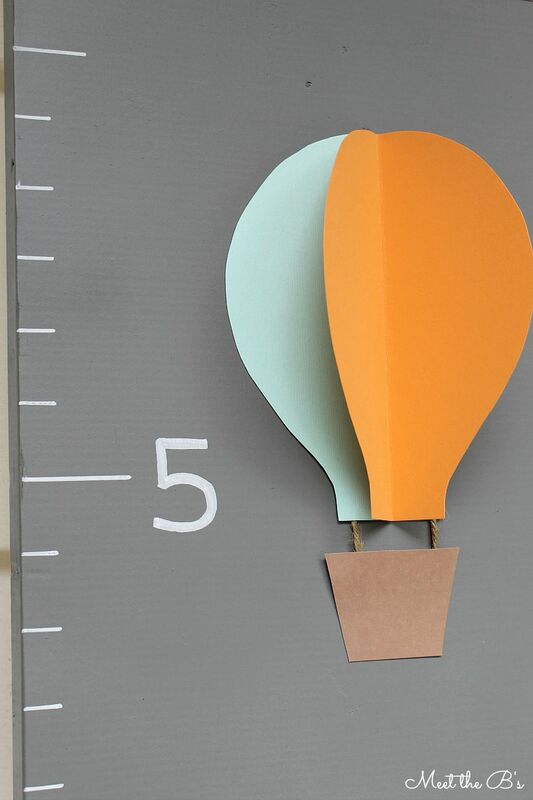 Apply glue along the center line and then place the folded edge of the balloon along it, carefully matching up the edges. Allow to dry (Elmer's Craft Bond* dries fairly quickly, so you only have to hold it for about 30 seconds or so!). Cut short pieces of twine. Mine are about an inch long with only a half inch of twine actually visible. 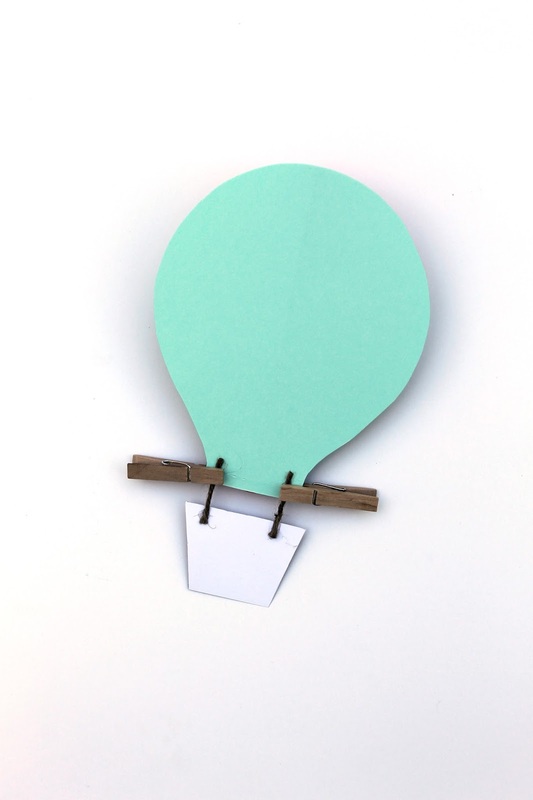 Apply glue to the back of the balloons and the baskets where you will place the twine. Place the twine pieces on the glue. Use clothes pins to hold them in place momentarily if necessary. Just remove before it is completely dry! Let the balloons dry completely before applying to the board. Once the painted pine board was dry, I added the ruler marks. 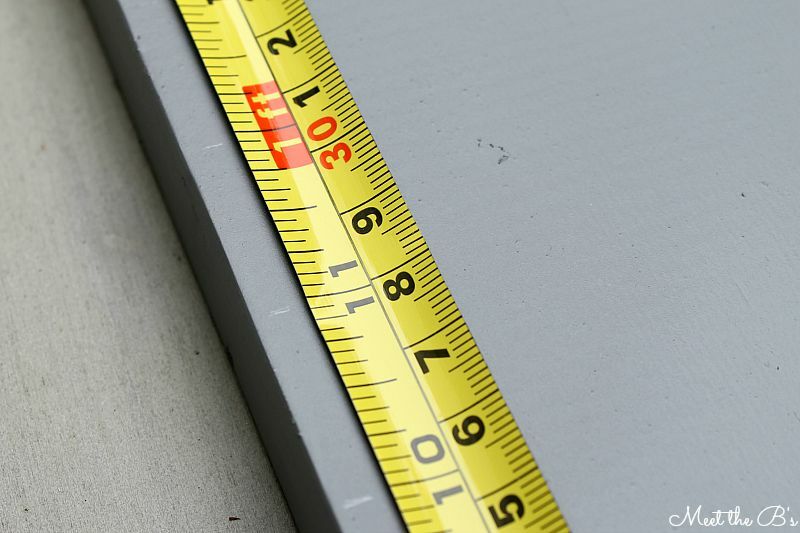 Use a tape measurer and pencil to mark every one inch all the way down the board. 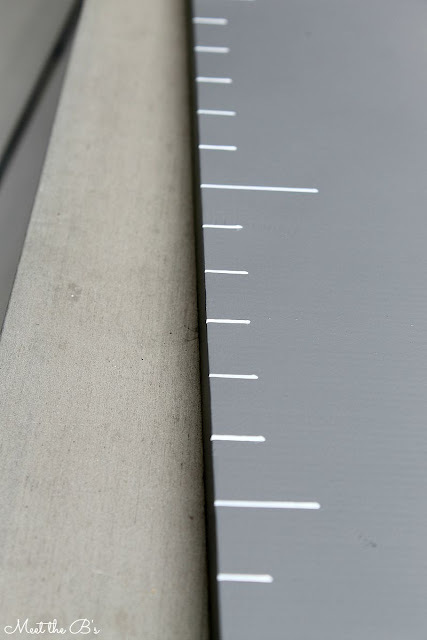 Then go back with a ruler and make the marks like ruler incremements. I did one inch for every six inch mark, one and half inches for every foot mark, and half and inch for all of the other marks. 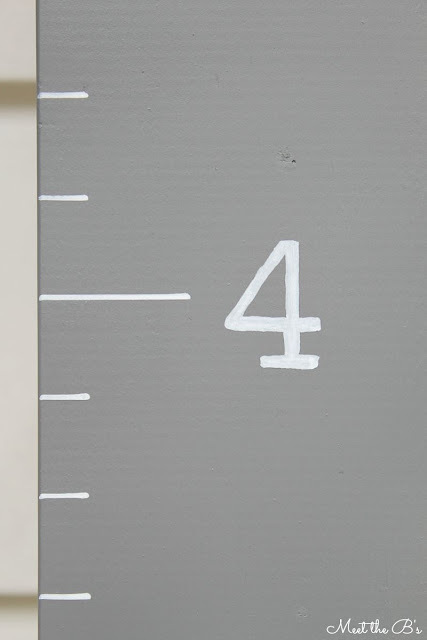 Go back over the pencil marks with a paint pen or permanent marker. Next I added the numbers indicating how many feet. I used my favorite text transfer method which you can find a tutorial for here. The font I used is Courier Standard at 160 points. Finally, I added the balloons to the board! I chose to use glue dots so that I can easily remove the balloons in the future if we decide to change the bedroom decor when Baby Brzu is older. Then I will be able to create a new paper craft to put in their place! That's over $120 in value!!! Want to win? Use the Rafflecopter Widget below! Each task listed gives you more entries. The winner will be randomly selected in one week. Nicole! Oh my gosh this is so PERFECT! I love the hot air balloon theme in general but the fact that you put balloons on this is so clever and cute! I've wanted to make one of these myself but for some reason it scares me. You may have convinced me. I absolutely love it! This is seriously so cute, Nicole! I LOVE how it turned out and cannot wait to see the rest of your nursery! Thanks for such great instructions! This is adorable, and I love the hot air balloons. This is such a tempting project to make, and you made it look so simple. Thanks for hosting a fun giveaway too!